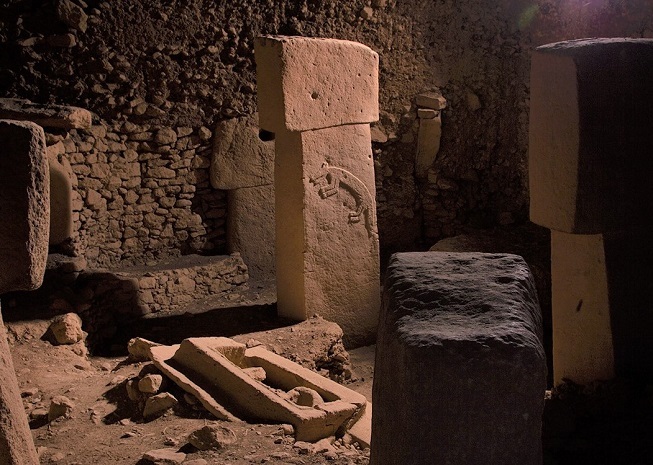 Gobeklitepe in Turkey: Why is it so Important? It has been an exciting 12 months for Gobeklitepe in Turkey. The ancient site that keeps historians and archaeologists captivated with its mysteries, joined the extensive list of Turkey’s UNESCO World Heritage sites in 2018. To celebrate the inclusion, Turkey called 2019, the “year of Gobeklitepe” in a global promotion to raise awareness about its historical importance. 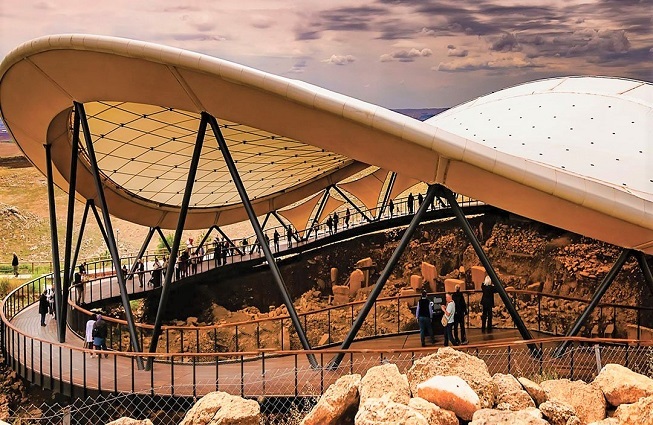 Don’t assume it is a marketing ploy to get more tourists though, because despite its low-key reputation on the mainstream tourism scene, Gobeklitepe, which translates as “hill with belly”, is one of the world’s most important archaeological sites dating back 11,000 years. Discovering the ruins threw everything archaeologists and historians knew about stone age man into question. Originally, they though that during this era in history, we were just nomadic hunters, moving around after food sources, while just practising basic survival instincts. The large, built structure questioned this theory. Was this a transition time from being nomadic hunters to permanent settlers and farmers? Whoever constructed it, needed a lot of manpower and excellent engineering skills. The architecture suggests a place of rituals hence its nickname as the world’s first religious temple. For many decades, the UK Stonehenge ruins captivated people but to clarify its importance, Smithsonian Institution says it predates Stonehenge by 6000 years, and the ancient pyramids by 4000 years. 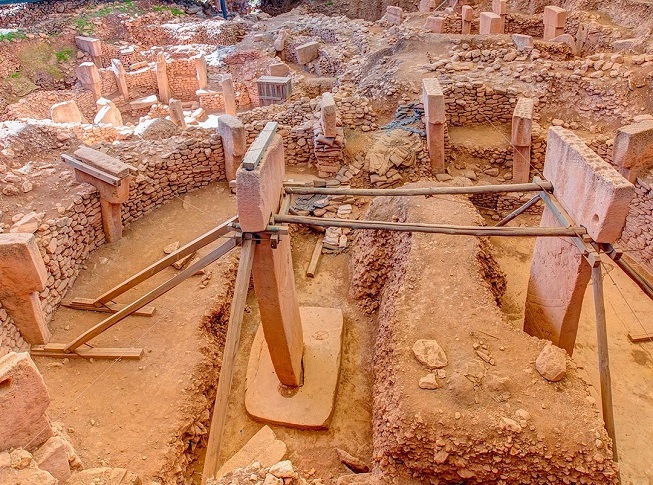 Who Discovered Gobeklitepe and When? Smithsonian Institution says in the 1960s, Chicago University examined the area and dismissed the ruins as a medieval cemetery, but fast forward to the 1990s, and German Archaeologist Klaus Schmidt looked at the site once again. With heartfelt certainty Chicago University was wrong, he came back with some colleagues and started excavations. They discovered 5.5-meter T-shaped pillars arranged in a circle that would have taken a large team of strong people to erect. On T-shaped pillars, carvings of animals proved a connection to hunters. Masses of animal bones with nicks and cuts found, also suggested people butchered and cooked animals there. Theories arose that hunters held food feasts here, as a celebration of life, since finding food was their primary concern. The most important question though is the time needed for such a construction would have been months or even years so people would have turned to nearby places for food and water sources. Hence is this when mankind started drifting away from a nomadic lifestyle? Another suggestion says hunters travelled from afar to meet here, share information and perform ritual sacrifices, hence its religious symbolism. The problem with Gobeklitepe is that for every question it answers, it throws ten more unanswered questions. For archaeologists, excavations and finding ancient artefacts, it is about a lot more than a treasure hunt. It’s about piecing together jigsaw pieces for an exact and factual story of humanity’s history. Hence when alien conspiracy theories dominate the news, you can understand why many archaeologists throw their hands up in despair. Known as Pseudo-archaeology, the History Channel’s “Ancient Aliens Series” is one such program fuelling conspiracy theories. However discrepancies arise in most scenarios, such as suggestions that the pillars weigh 60 tonnes, while most academic papers suggest they weigh between 5 to 10 tons. Statements such as “Gobeklitepe changes everything we knew about mankind” are presented as stand-alone comments without full context. They also cherry-pick sources to support their narrative, but ignore disputing references, without proving them wrong. Whether you believe in Aliens, this unproven theory adds more confusion to the story. Archaeologists estimate they have only uncovered 5% of the site so it could be many years before professionals unravel the full story of Gobeklitepe in Turkey. Gobeklitepe sits in the Sanliurfa province of southeast Turkey. Many tour agencies include the archaeological site on their routes, or you can catch an internal flight to Sanliurfa airport. Also, nicknamed the city of Prophets, Sanliurfa is also home to fish-filled Balikligol, which Islam says is where Nimrud threw Abraham into the fire. While you are touring Turkey, also visit the ancient ruins of Ephesus city, another UNESCO World Heritage Site. Including Roman houses, the Celsus library, temples, agora and a large theatre, this is one of Turkey’s best-preserved ancient cities. Alternatively, the beautiful calcium pools of Pamukkale, a natural landmark sitting aside the ancient ruins of Hierapolis, are a top visited attraction and a must-see at least once in your lifetime.